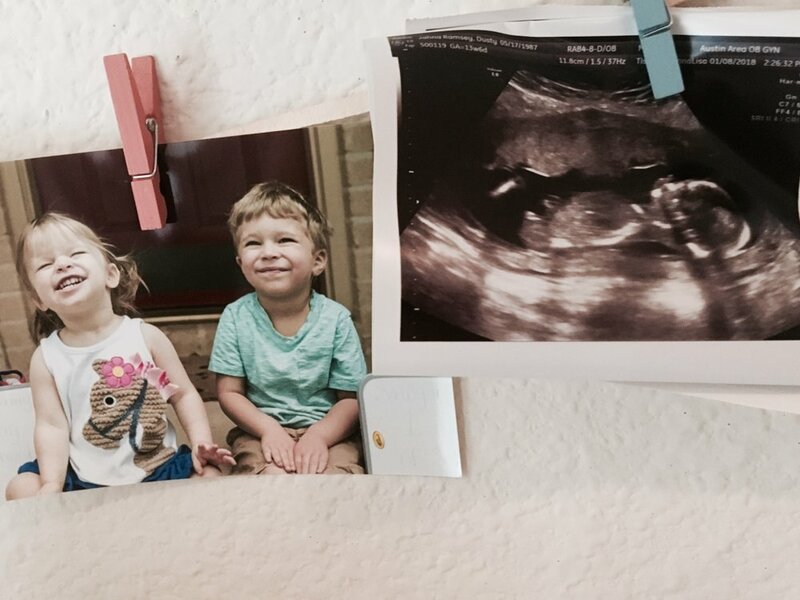 We’re having another baby!! 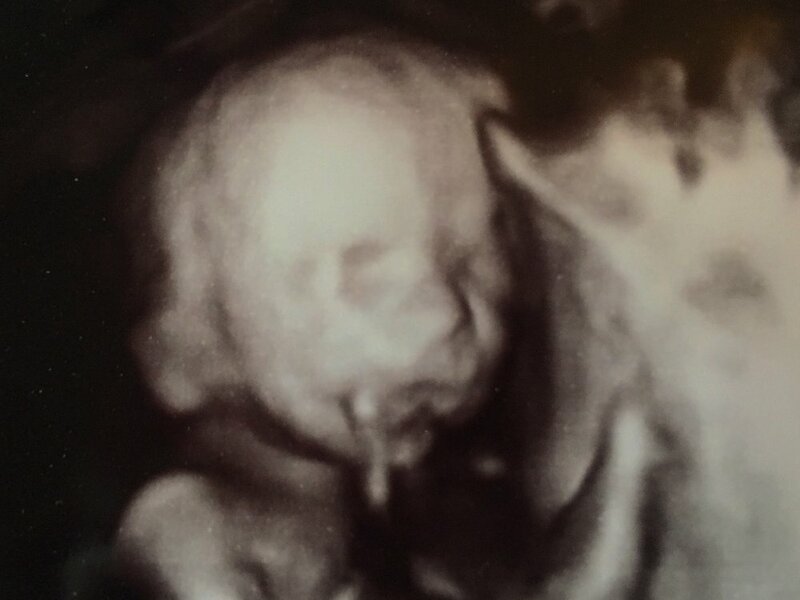 Our little Sweet Pea is 21 weeks into being “fearfully and wonderfully made” (Psalm 139:14a). The last several months have gone along like our other two pregnancies with me being terribly sick all the time. We were in survival mode through the holidays and into the New Year. Recently, I started to feel better and was able to get back to normal activity. That changed last Monday. Monday the 19th I woke up in the middle of the night bleeding. Sam rushed me to Triage. After getting all checked in (which takes an eternity!) we finally were able to hear our sweet baby’s heartbeat - he or she was still alive!! We praised the Lord and quickly began praying for answers and miraculous healing. After a very quiet ultrasound from the technician, we found out I had a 6cm abruption (my placenta was moving away from my uterus). We were devastated. And had a thousand questions that didn’t seemed to get answered. We called our community all around to pray for us and our Sweet Pea. And they did. We had people come to the hospital and pray for us that day. When we were sent home on bedrest later that afternoon with tons of questions, we had people come to our house, sit with us, and pray for us. We had people texting and calling and stopping by with food and praying for us. Monday night was a very hard night for us as we wrestled with the little information we knew. The only things we could do were cry and pray. On Tuesday, we had more complications that sent us back to Triage. 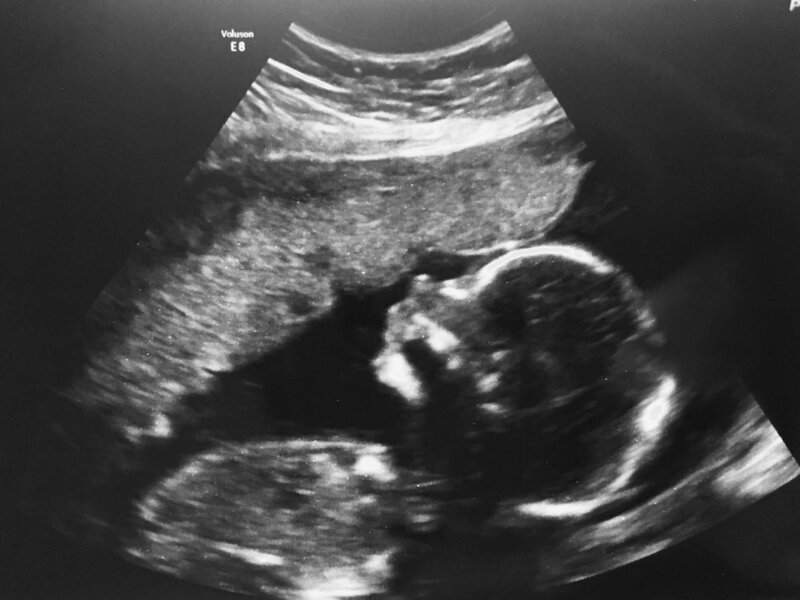 We had another ultrasound that revealed the spot had shrunk to 1 cm!! Praise Jesus!! The bleeding we had so desperately prayed would stop was actually moving the spot out. We were sent home relieved but still on bedrest and still with a lot of questions. We had a follow-up appointment scheduled with our OB and a new specialist on Monday. The next few days were a struggle for my mind and body. I continued to bleed for several days and stayed put in bed most of the time. I tried desperately to cling to truth, surrounding myself with prayer, scripture, and sermons. By the weekend the bleeding had stopped, but I was just as anxious as ever. Sunday my anxiety reached an all-time high and resulted in a full blown panic attack. We went back to Triage for some things I was concerned about. Thankfully, everything looked fine. Now to wait the remaining 18 hours until we saw our doctor. He is mighty enough to make a 6cm high-risk abruption shrink to a 2.5cm “don’t worry” abruption. He is caring enough to give us nurses, doctors, and sonogram technicians who have been loving towards us, walking us through what this all means. He is mighty to bring people all over the United States together in prayer for us and for our Sweet Pea. He is caring enough to show us His love through the tangible gifts of our community. We do not know what the next 19 weeks hold. We pray with all our might that they hold an ever-growing baby that will arrive healthy on July 5th. But in the not knowing, there is something we can hold onto: God knows. Sweet Pea is from Him. He/She has been made through His might and care. And Sweet Pea will alway be His. To Him be glory forever and forever. Amen.